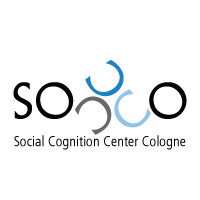 SoCCCo brings together ten research groups that study a broad array of topics in social cognition. The overall goal is to better understand how people think about, judge, and behave towards others by examining the underlying cognitive processes. In addition to the DFG Research Unit Relativity in Social Cognition, SoCCCo is home to the Emmy Noether Program Evaluation and Memory (Gast Group) as well as the NRW Grant Digital Trust (Topolinski Group). → Click on a group for more detailed information on its research program. → Click here for an overview of SoCCCo's research topics. → Click here for an overview of third-party funded projects.